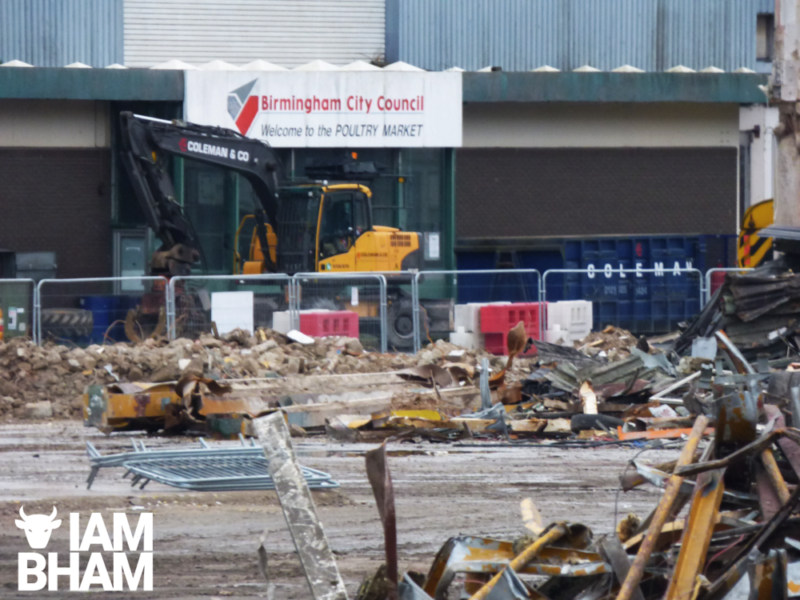 The old Birmingham Wholesale Markets have today been demolished, completely torn down to make way for a new multi-purpose development. 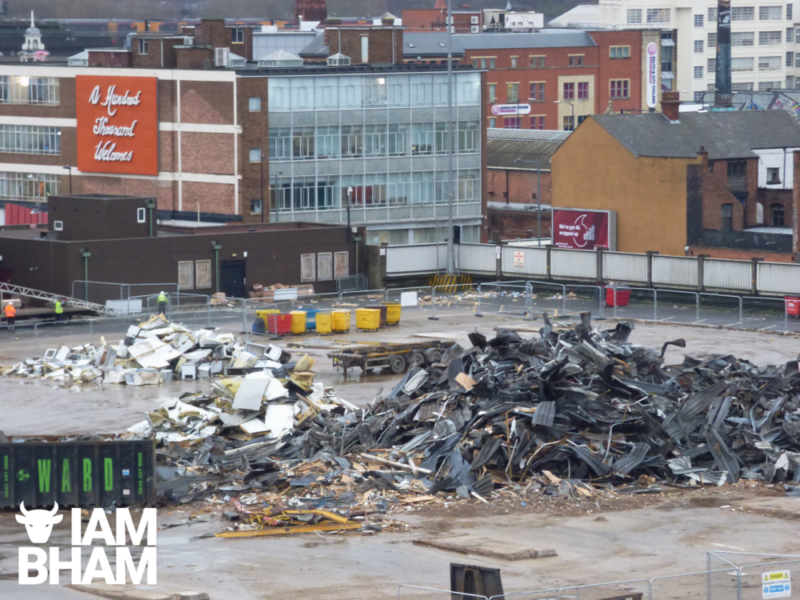 The building complex, officially opening in 1974, was part of the regeneration of the city when the Bull Ring Centre was originally constructed in the late 1950s, but had become dated and was recently closed, allowing for a new Wholesale Market to be built and opened in Aston. Birmingham’s original wholesale food markets date from 1166, some say since before the Norman Conquest., helping develop the growth of Birmingham as a commercial town from the 12th Century onwards. Until the 19th Century, the markets were held throughout the streets of the centre of the town before being reorganised by Birmingham Street Commissioners from 1769, and then the Birmingham Corporation in 1854. In the early 19th Century, the clearance of buildings from the Bull Ring allowed the concentration of the markets on the site. In 1817 the Street Commissioners opened the Smithfield market on the site of the Birmingham Manor House, new wholesale fruit and vegetable markets opened on Moat Row in 1883, and the pig and cattle trades moved to a new market in Montague Street between 1892 and 1898. The wholesale fish market in Bell Street was opened in 1869 and extended in 1883, while in 1897 a new meat market with an attached slaughterhouse was opened in Bradford Street. 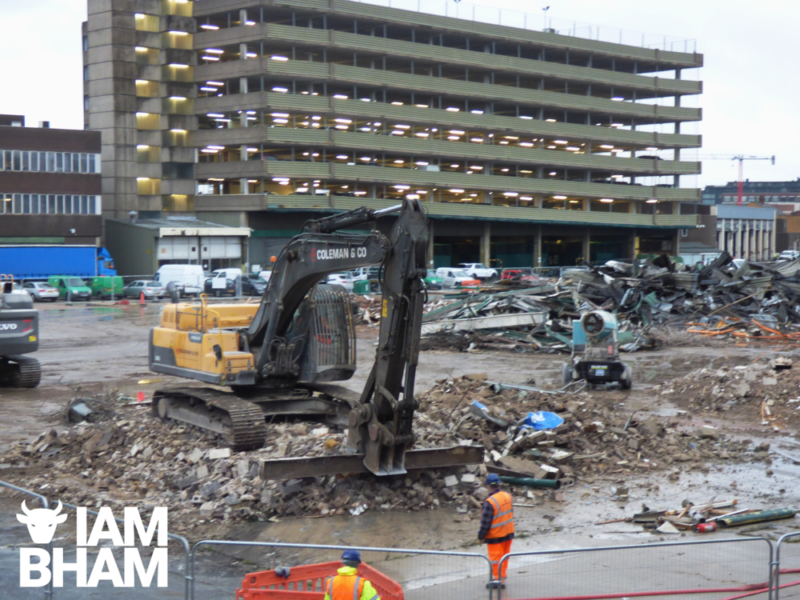 Increasing congestion in the markets area, coupled with the demolition of the Fish Market for the construction of the Bull Ring Centre in 1958 – and the increasing inadequacy of the Smithfield and City Meat markets – led to post-war plans to develop a new wholesale market complex. 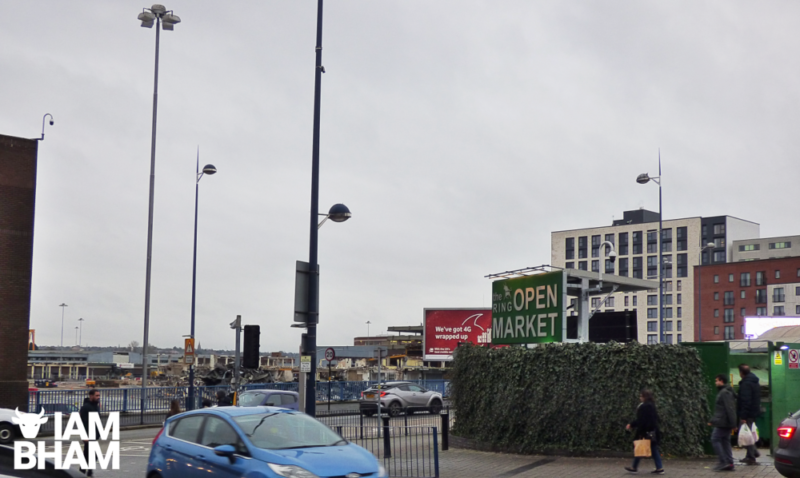 The first phase of the market buildings opened in February 1974. the building comprised the largest integrated wholesale fresh produce market in the UK. The Wholesale Markets traded on the site until May 2018, when it moved to new purpose built premises at The Hub in Witton in the Aston area of Birmingham, run by Birmingham City Council in partnership with the tenants of of the markets under the umbrella of the Birmingham Wholesale Market Company. 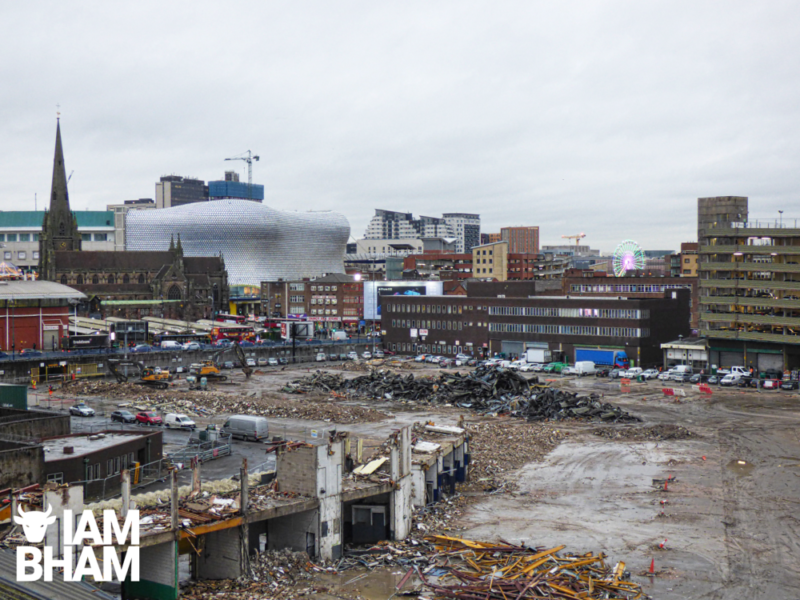 Photographs and video by Rangzeb Hussain for I Am Birmingham.